The Learning in Afterschool project is promoting five learning principles that are well rooted in education and youth development research. Teachers and youth workers alike know that these principles are important to engaging young people in learning. Although these principles are vital to developing important skills, sometimes referred to as 21st century skills, many refer to them as “soft”. Further, the lack of accessible tools that measure these skills has been a problem for the OST field. 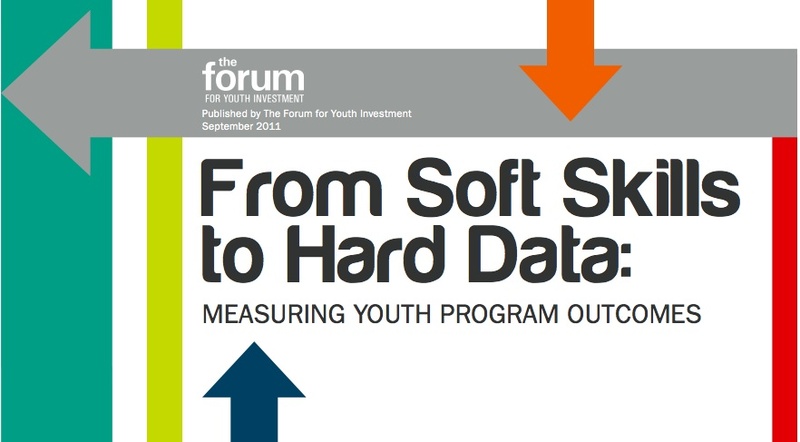 Below, we interview Nicole Yohalem (Forum for Youth Investment) one of the co-authors of this report. Q: Of the many important skills, why did you focus on the four skill areas presented in your paper? existing work out there. So in identifying these four areas to focus on, we reviewed commonly used and cited frameworks from the Collaboration for Academic, Social and Emotional Learning (CASEL); the Partnership for 21st Century Skills; and the U.S. Department of Labor. 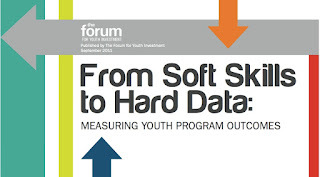 We identified the common constructs across those frameworks, focusing specifically on skill-oriented outcomes and those that are amenable to intervention by afterschool programs. We also focused on skills that are cross-cutting, which means we left some things out that relate to specific content knowledge (e.g., technology, global awareness). That’s how we came to communication, relationships & collaboration, critical thinking & decision-making and initiative & self-direction. We aren’t suggesting this is a comprehensive list of important skills, or that these are the only skills afterschool programs should focus on. We may tackle additional areas in an updated report next year. Q: Why are these “soft skills” deemed important? A: There is growing evidence and recognition that these skills and dispositions are critical – to academic success, workplace success, and to overall wellbeing. Teachers, students, parents and Fortune 500 companies all think these kinds of skills are critical. In a 2006 national survey of employers, collaboration, work ethic and communication were among the most important skills necessary to succeed in the workplace. On the academic side, focusing on social skills is linked with developing a positive connection to school, improved behavior, and increased achievement. Q: What do you see as the role of OST programs to build these skills? In other words, why are OST programs well positioned to build these skills? A: We feel these kinds of outcome areas could really be a strategic niche – in economic terms – a “comparative advantage” for many youth programs. Afterschool programs operate with limited resources yet have significant flexibility compared to schools. These are skills that youth programs are good at building and supporting, and they matter for learning and development. Q: Why did you think it was important to identify instruments to measure these skills? A: We know that high quality afterschool programs can help young people develop these and other skills, but to live up to this potential, activities need to align with outcomes and programs need tools that are accessible and that do a good job of measuring them. When you are tracking things like attendance, grades or standardized test scores, which many afterschool programs do, data are typically obtained from school records, which means program leaders and evaluators rarely face decisions about what instrument to use. Nicole oversees Forum projects on out-of-school time, postsecondary success and bridging research, policy and practice; speaks on behalf of the Forum at national conferences and events; and serves as an advisor to several foundations, organizations and initiatives connected to the Forum. She has authored numerous reports, articles and commentaries, and oversees several regular Forum publications, such as the Ready by 21, Credentialed by 26 issue brief series. Learning in After school is very great experience to have a skilled education and bright future. But Government should prefer these after school care and after school program institutes to build some respect and reputation to get acknowledged in the general public especially to those people who came from overseas because they were struggling in a strange country. By the way I would like to thank you for such a useful and beneficial article you have posted here and i hope to see some more articles like this one in future time.